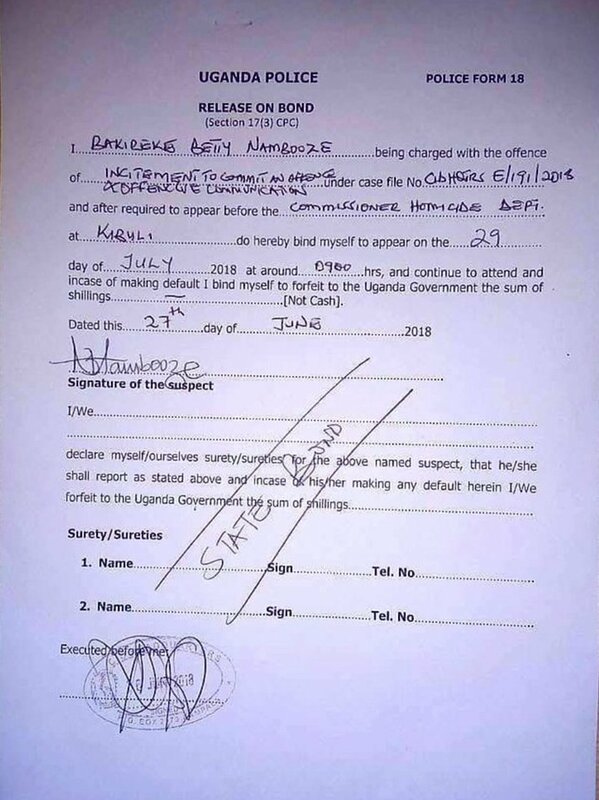 KAMPALA –The Police has Wednesday afternoon granted Mukono Municipality MP Betty Nambooze police bond following pressure from the public and human rights organisations. The Police reportedly agreed to release the MP on bond on condition she appears regularly before the Commissioner of Homicide at the Police CID headquarters in Kibuli from July 27. Mr. Arthur Mugabi, personal assistant to the MP said the MPs party was awaiting a court decision seeking her unconditional release when police came in with the bond offer. 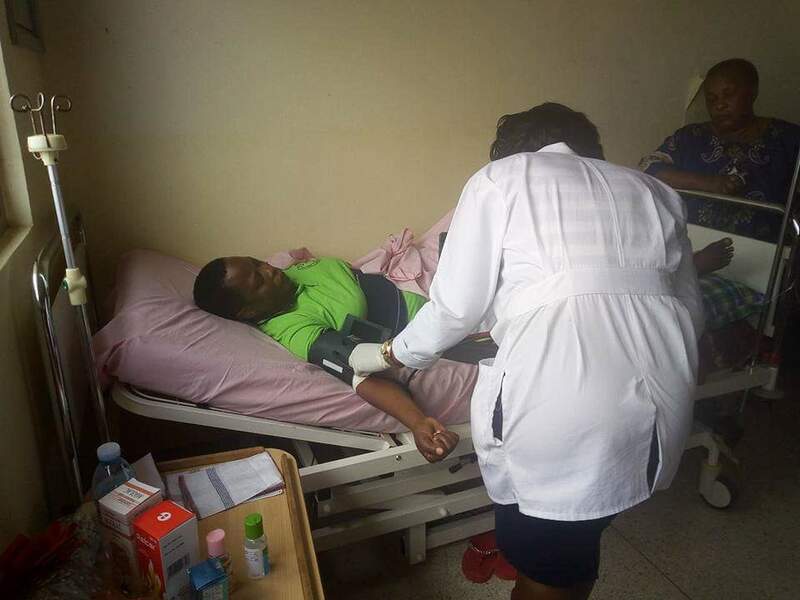 “We are processing the discharge of MP Nambooze from Kiruddu Hospital and intend to move her to Bugolobi Nursing Home as she awaits to be taken to India for proper examination and medication,” Mugabi said. Nambooze was arrested on Wednesday June 13 by the Police from her home in Mukono, and detained at different police facilities including Jinja Road police station but later recorded a statement on allegations that she made unflattering comments about slain Arua Municipality MP Ibrahim Abiriga. Early this week, the Directorate of Public Prosecutions (DPP) sanctioned incitement to violence and offensive communication charges against MP Betty Nambooze who was admitted to Kiruddu Hospital under police watch. 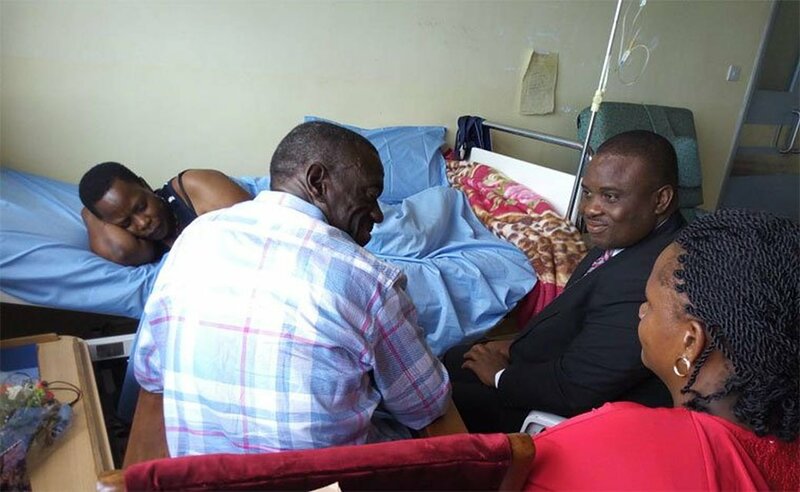 The Mukono Municipality MP’s lawyer, Erias Lukwago, challenged the charges and the continued detention of the legislator at the hospital consequently filing an application at Buganda Road court.